A drawing of a festive gift illustrates that something special is inside for Dad. 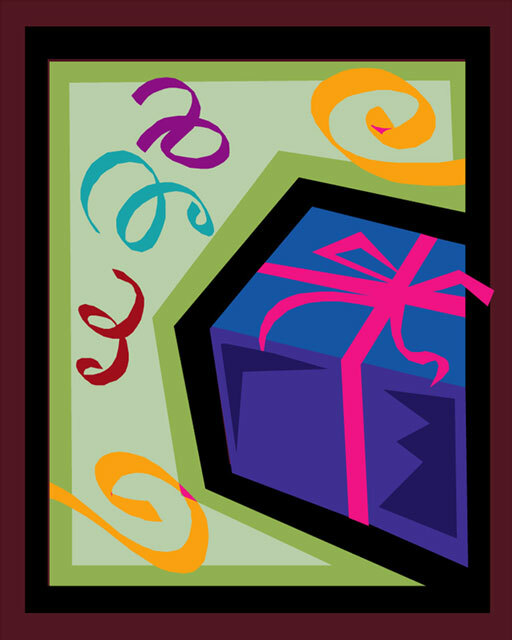 The blue present is set on a light green background, and is accessorized with a red ribbon. Different colors of confetti float around the present. Dad can't wait to see what's inside!